Having a simple chicken dish that kids will not just like but gobble up is a must. So when you are gluten free or wanting to feed your kids something that you feel good about here is a recipe you can rely on. It has become a staple in our house. When we have other kids over for a meal I often make this because 1) It is easy and 2) It is guaranteed to be a hit. Enjoy! Preheat oven to 425 degrees. In medium bowl whisk together the 2 eggs and water. This will be what you dunk your chicken in before you bread it. 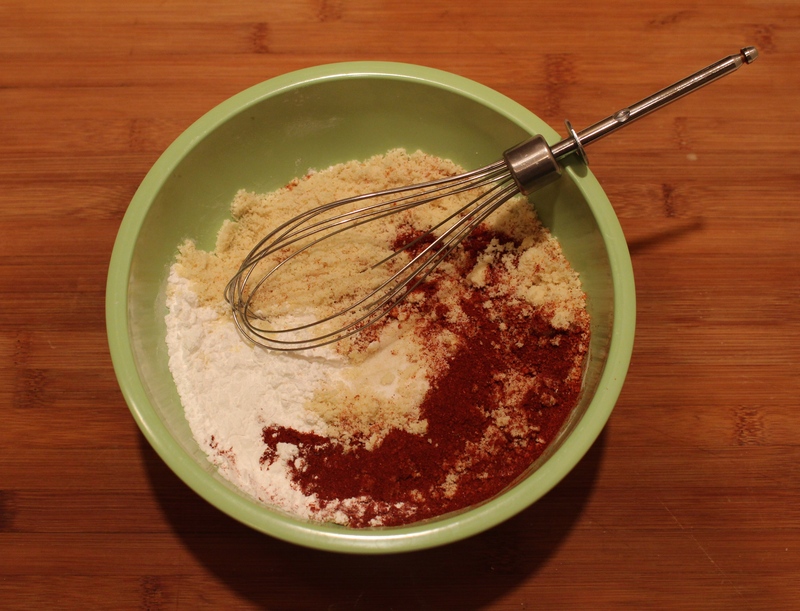 Next, mix your dry ingredients together in a separate bowl. This mixture is what you will bread your chicken with. Line a cookie sheet with parchment paper and set up your workstation by putting the egg bowl first, dry ingredients second and cookie sheet last. This is your order of operation. 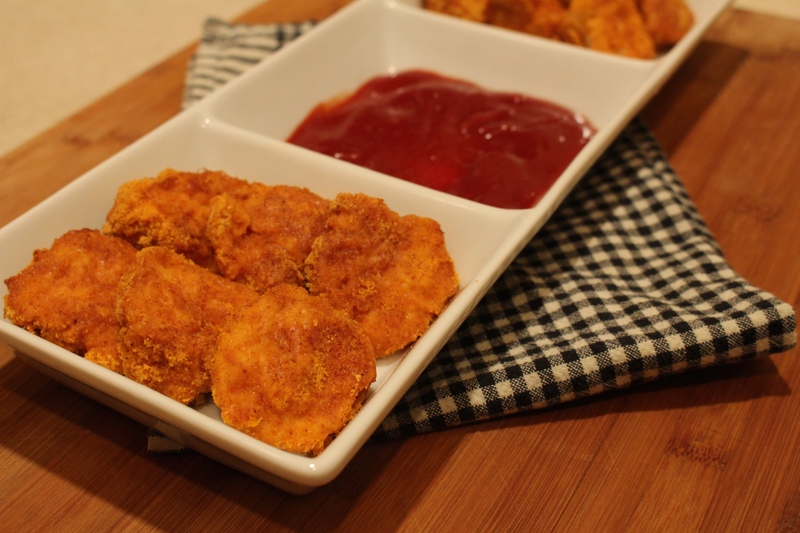 Next, cut up your chicken into “nugget” sized pieces (2×2 ish). Start preparing the chicken by dunking it into the egg mixture then coating it by rolling it in the breading and finally onto the cookie sheet. Once you have prepared all the chicken bake for 20 minutes, then remove from the oven, flip, and return to the oven cooking another 10-15 minutes. Let cool for 5 minutes and serve to your hungry little army.